Apple have recently been pushing various lawsuits towards manufacturers who produceÂ androidÂ phones, tablets and app stores. HTC have been in the news recently, with Apple pushing to get all HTC phones banned from the USA. 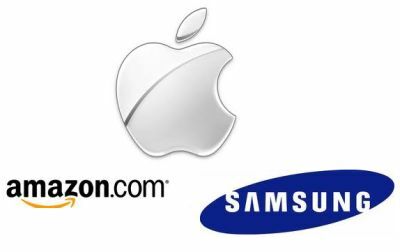 While that is still ongoing, Apple have also been fighting with Samsung and Amazon, and today they got a nose ahead in both. Meanwhile, an Apple lawsuit against Amazon over the name of Amazons Android store in Europe has led to Amazon refusing to accept new app submissions from developers based in Germany. Although Amazon has said they hope to reopen this soon, there is still a chance that this couldÂ propagateÂ to other European countries too. We;'' keep Â you informed on any updates on these two issues!